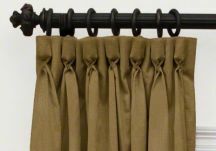 We strive to offer the most comprehensive selection of drape styles - all custom made with the highest grade of fabrics available. 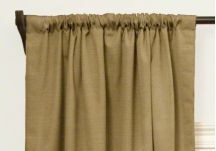 Grace your home with beautiful drapery while protecting your patio with rugged outdoor drapes. You will undoubtedly find the style and fabric to create that special drapery that reflects your decor and taste. 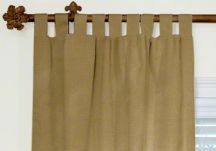 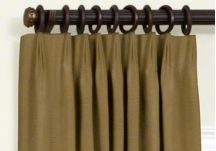 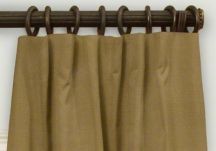 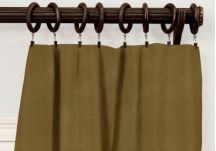 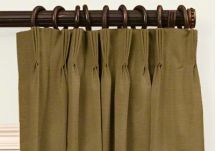 We feature custom drapes and curtains with grommets, pleats, ties, tabs, and more to fit your specifications. 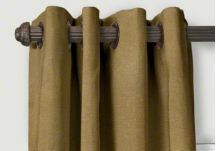 Whether you desire silk fabrics, floral prints, busy patterns, solid outdoor fabrics, or need to send us your own fabric, we can create the perfect window treatment for your home!